Guy qualified as an Architect in 1990 from Manchester University School of Architecture following which he returned to Sheffield to join The Bond Bryan Partnership for whom he had worked during university vacations and where he progressed to become an Associate within the Practice. In 1997, Guy joined his father John as a Partner within Dixon Dawson Chartered Architects operating from a new office based in Sheffield to compliment the services provided by the existing office at Chester-le-Street. Over recent years, both offices have developed a reputation for quality design expertise. Guy has a wealth of experience working for private clients, developers and contractors within the healthcare, industrial, commercial, motor retail, retail and residential sectors. Over the years he has developed and enhanced the quality and range of services the practice is able to provide at all stages of a development from inception to project completion. More recently Guy has overseen the £4.5m mixed use retail and healthcare phased regeneration at Alexandra Park Tunstall on behalf of Alexandra Park Tunstall Limited and also the £2.0m multi franchise motor retail regeneration development at Calder Park, Wakefield on behalf of The Harratts Group Limited. 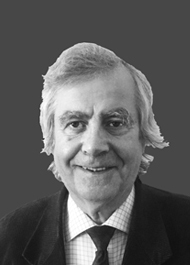 John established the practice in 1970 from the office in Chester-le-Street. He has a huge wealth of Architectural experience in all sectors. His valued knowledge means he maintains an input into projects for both of the practices offices as a Consultant Architect. 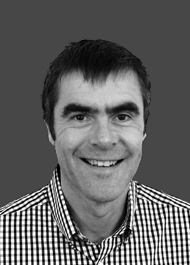 John formed Dixon Dawson Chartered Architects as a partner with son Guy in 1997 operating out of two offices in Chester-le-Street and Sheffield. Johns most notable projects include the £2 million Mazda garage for Hodgsons, The award winning extension of the Methodist Church in Chester-le-Street together with a number of highly regarded residential developments throughout the North East. Johns passions are sketch designing, good food and Belgian beer.